For horror movie lovers, Michael Dougherty’s Krampus (2015) is a holiday present wrapped up with a bow. 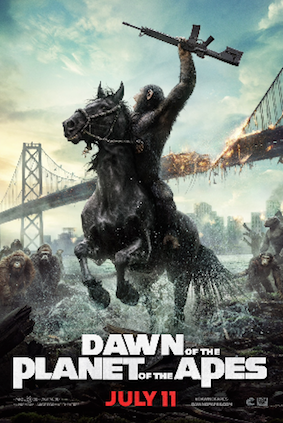 It’s a delightful, caustic, emotionally-resonant horror movie that feels like a throwback to a bygone era. It’s a (most welcome…) relic from age when audiences more easily or readily allowed fantasy and humor to inform the genre. Of course, the great arc of movie history involves a push away from the theatrical and artificial towards the naturalistic and realistic. I don’t waste too much thought mourning this shift in my favorite genre, and I enjoy many modern horror movies tremendously. And yet, at the same time I cannot help but note that so many are, well, humorless, or lacking real imagination. The genre I grew up with took fantasy and imagination as the starting point. Today, too many new horror films feel that they must justify their realism, instead of entertaining us with fantasy, laughs, and screams too. The film feels very much like a throwback to the era of Gremlins (1984), for example, with its commentary on Christmas, and its quasi-comedic monsters. The demonic helpers in this film -- who count ambulatory gingerbread men among their number -- straddle the line between terror and comedy quite adroitly. For about ninety percent of the film, Krampus is also delightfully cutthroat and vicious, in much the same way that one would apply that descriptor to Willie Wonka and The Chocolate Factory (1971). Bad children and bad adults get punished for their nasty behavior, and there’s no looking back or second guessing their grim fates. One mean-spirited kid who guzzles soda from the bottle at a holiday dinner table gets lured up the chimney by a gingerbread cookie, and then dragged off to the underworld in chains. 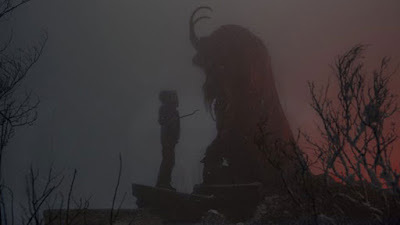 It’s true that Krampus’s conclusion backs away from this delightfully mean-spirited approach a little bit, but then, delightfully, the film reconsiders the walk-back in favor of an ambiguous ending that could be read in a number of ways. I suppose what impressed me most about Krampus was its perpetual sense of imagination. A central scene in the film is a spectacularly shot-and-edited but unconventional flashback. This scene plays like a Christmas TV special from the 1960s, and yet is spooky and fun at the same time. On a cerebral level, Krampus also clearly boasts a point or purpose. The film’s opening montage and characters remind us that we often live, today, in an ugly, materialistic culture. 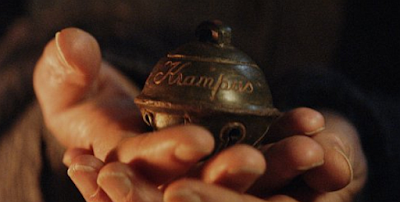 And yet, by film’s end, Krampus’s protagonists are all putting their differences and material desires aside for the things that are important -- like family -- and I liked the optimism and heart of that statement. A visit from Krampus could clearly spoil any holiday season, but this cinematic version of the scary myth is an absolute cause of celebration and revelry if one is an aficionado of the horror film. The Engel family prepares for another harried, exhausted Christmas holiday at home. 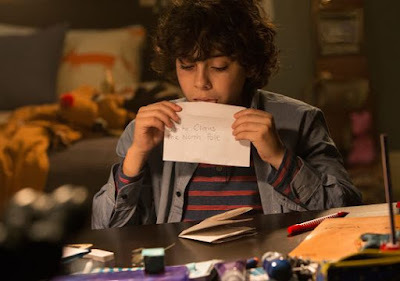 Tom (Adam Scott) and Sarah’s (Toni Collette) son, Max (Emjay Anthony), has been in a fight, and Sarah’s sister, Linda (Alison Tolman) is visiting with her obnoxious husband, Howie (David Koecher) and their four children. Meanwhile, Tom and Linda’s daughter, Beth (Stefania LaVie Owen) is obsessed with her boyfriend, Derek. 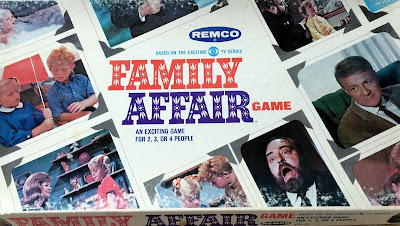 Linda’s family arrives, and with a surprise additional visitor to boot: surly Aunt Dorothy (Conchata Ferrell). A family dinner goes awry when Linda’s kids steal Max’s letter to Santa Claus and mock him for it. Fed up, Max rips up the letter to Santa, unwittingly summoning St. Nick’s dark, ancient reflection, a demon called Krampus. The next morning, Krampus has trapped the family and its house in a grim winter wonderland, replete with creepy snowmen. Then, the evil being lays siege to the house with his monstrous minions. Among them are fanged teddy bears, murderous toy robots, cackling gingerbread men, and even a hungry jack-in-the-box. 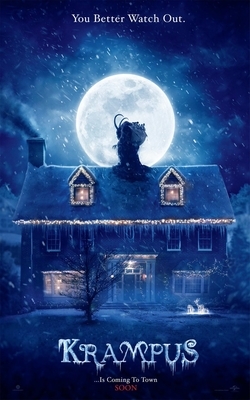 Omi (Krista Stadler), Tom’s mother, has her own unique history with Krampus, and is able to warn the family of the dangers it now faces. She recounts a story from her youth, one in which a lack of the Christmas Spirit brought Kramus to her village, and resulted in her entire family being dragged to the underworld. Krampus’s critique of a 21st century Christmas begins right out the gate, with the opening montage. We watch as zombie-like crowds pour into a store -- Mucho Mart -- and begin fighting each other over the best deals. There is rioting in the aisles, the constant passing of paper currency (in close-up) and views of children fighting in the store. The faces of the consumers are horrific, seen in close-up, and in slow-motion photography. The impression is clearly that Christmas has, in this age, become a crass and ugly season about the pursuit of material wants. What makes this montage all the more caustic and effective is that it is scored with a nostalgic holiday tune: Meredith Wilson’s “It’s Beginning to Look a Lot Like Christmas,” sung by Perry Como. The song hammers home the scene's point. It makes the scene drip with droll and wicked irony. Today, this is exactly what Christmas does look like to too many people. It’s about having things; about getting things, about owning things. It’s not about, in the words of Omi, “sacrificing,” or giving to others. Not long after this montage, we see talking heads on TV debating the “War on Christmas,” another divisive aspect of the modern holiday. The spirit of the holiday -- about giving and love -- is absent not just in terms of the violence and material desire the film showcases, but regarding the hostility with which we view those who are different from us. We're all Americans, and yet we seem to hate one another. We can't even tolerate that someone might celebrate the holiday in a different way than we do. That’s actually a key point of the film. All the details of our red state/blue state divides are on display in Krampus, but I love the movie’s process of (murderous) attrition, because it galvanizes the attention of both families. Before long, the conservatives and liberals are working together to survive. The inescapable point? It doesn’t matter if you are a Democrat or a Republican, Krampus notes, because both types of Americans love their families, and want to protect their children. Part of “rediscovering” the Christmas spirit involves loving those who don’t believe exactly what you believe, and yet, finally, are your blood. There’s nothing to focus one’s attention on the important thing like a giant, horned demon with a Santa beard and penetrating, deep-set eyes. I love and admire the film’s depiction of Krampus too. 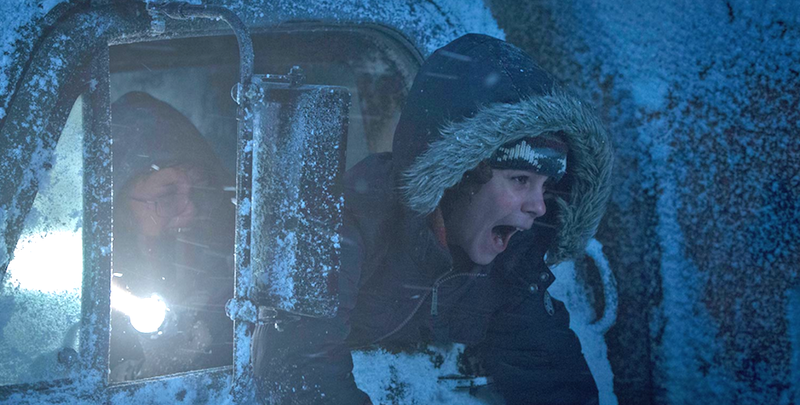 There’s a fantastic shot, set during a blizzard, wherein Beth runs for her life in the foreground of the frame while Krampus -- this huge hulking thing -- shadows her moves in the background, leaping from rooftop to rooftop. And when Krampus makes his entrance at the Engel hearth, he cracks the fireplace, and emerges hunched over. When he rears up and extends to full height, it’s a terrifying moment. Krampus is one scary dude. I respect, as well, the way that Krampus attempts to defy convention by engineering awful demises for the film’s children and family members. A jack in the box swallows a child whole (sneakers last…). The aforementioned soda guzzler gets yanked up a dark chimney. Aunt Dorothy encounters a pack of gruesome, masked elves and is forcibly ejected from the family living room.. The film and filmmakers have terrific fun with the twisted Christmas imagery, and the deeply disturbing winter wonderland background too. Some will see the film’s resolution -- set over the pit of Hell -- as a cop-out. I admit that was my first thought, as well. But the film’s final imagery suggest a not-so happy or clear-cut ending. Either the family is now a Christmas decoration in Hell, or at the very least, Krampus will be watching the Engels to make certain they remain true to the spirit of Christmas, and don’t relapse into their conspicuous consumption or participation in the partisan divide. I prefer the second alternative there, because it honors Max’s choice in the last act. Without giving too much away, let’s just say that the lad acts according to the best “spirit” of Christmas, showcasing self-sacrifice and personal responsibility for his actions. He doesn’t blame others for his unhappiness, or love things more than he loves the people in his family. To adopt a cliche, he comes to understand the real meaning of Christmas. When I look back at a film like Gremlins (1984), I think of the humor, the scares, and the heart embodied in its text. Krampus possesses all the same virtues. The scenes with the attacking Gingerbread Men boast the same wicked ingenuity you might expect to find in the works of a Joe Dante or Sam Raimi. I’m glad the film doesn’t strive too much to be “real,” and makes room for such silly boogeymen. 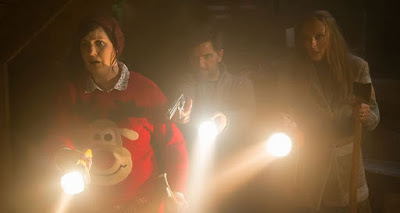 For me, Krampus is the whole, twisted horror package, and I loved every sharp-edged, fantastic minute of it.